The High-Low series display an area connecting sets of high and low values. 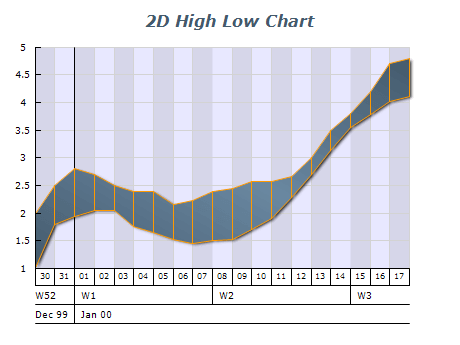 This example demonstrates a standard 3D high low chart. Positive and negative correlation between high and low data points may be represented by different fill effects of the current section of the area. This example demonstrates a High Low chart with custom X positions for the data points.